Looking for an education on time registration and access control? GPS offers you and your employees a range of practice-oriented trainings. Now and then, your employees also need an upgrade. So that their know-how and skills evolve with the latest technology. GPS has its own training center and a team of professional trainers. We offer a range of practice-oriented trainings on time registration and access control. Does your company already use a GPS solution? Then register your employees for a training to maximize your investment. The trainings always take place in small groups. This gives you maximum guidance from our trainer and answers to all your questions. Register quickly because the places are limited. Get up to 40% discount on our courses through the SME Portfolio. 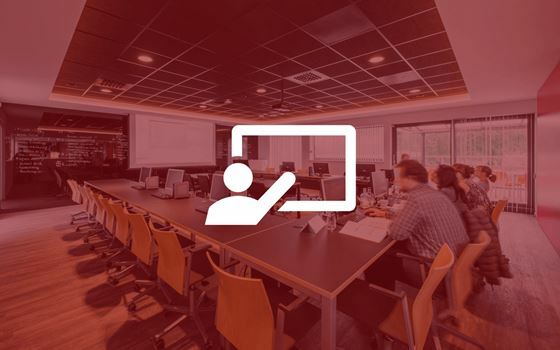 This training is intended for users who have allready followed the training 'personnel management' or who want to make the most of the possibilities offered by GPS-Emprova. In this part, frequently used functions and possibilities will be discussed. During this course you will learn the basics of GPS Emprova. Caution. This training takes place in Oudenaarde. Places are limited, so register on time.